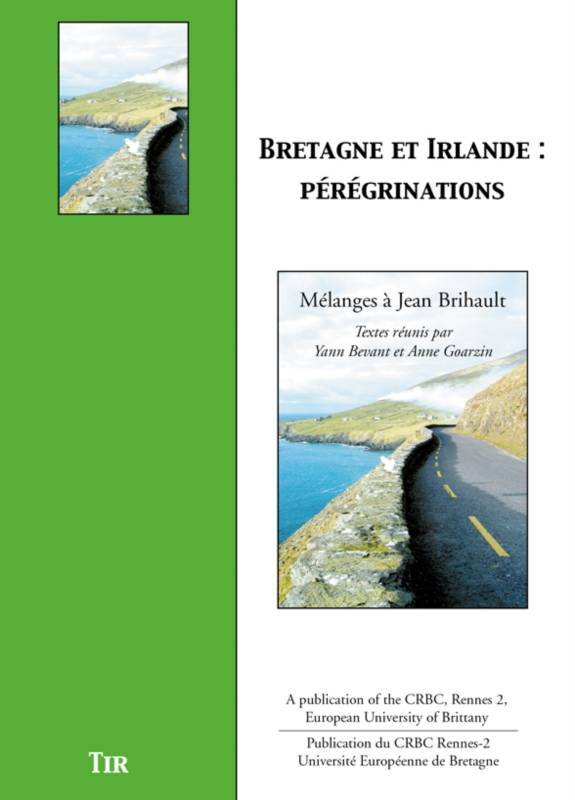 This series of articles includes contributions from various academics, colleagues and friends of Emeritus Professor of Irish, Jean Brihault, in honour of his work. Professor Brihault was based in the Centre for Irish Studies at the University of Rennes 2 and was its President from 1996 to 2001. 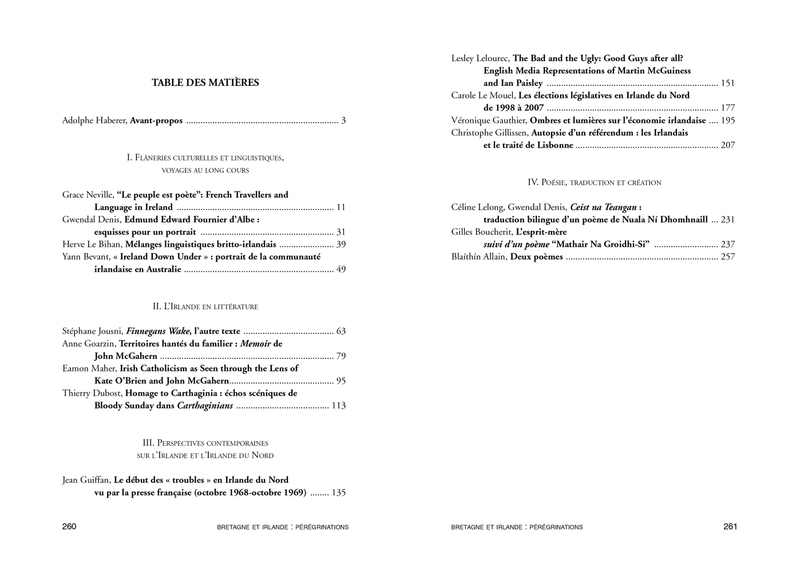 The articles gathered in this book have been written by lecturers-researchers in Irish studies and in Breton and Celtic Studies based in France and Ireland. They provide evidence of the great vitality which arises through collective research, which is what Jean Brihault always attempted to foster and encourage.